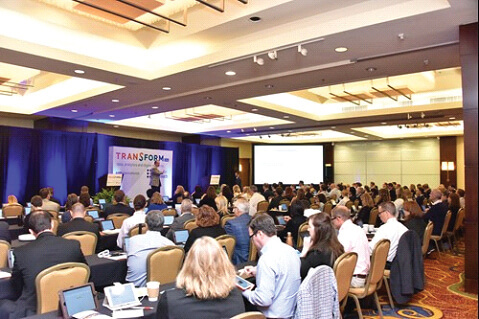 Last week saw the gathering of 125 key industry professionals including C-level executives from some of the USA’s largest exhibitions and convention organizers, at Transform USA, to discuss the future of data, analytics and digital in the events industry. Taking place at the Marriott at Metro Center in Washington DC on Thursday, July 20, 2017, this inaugural conference, organized and curated by global strategy consultancy AMR International and US-based events organizer Lippman Connects, gave attendees a guided tour on how to strategically plan and develop long-term data, analytics and digital transformations. Growth of the exhibition industry is not going to come from net square feet. Customers are different now. Attendees arrive to the show having researched products in advance using online tools. Exhibiting companies are demanding more tangible returns on investment. The discussion around data, analytics, and digital is not a technology discussion. It is a discussion about the culture, skills, and capabilities required of exhibition organizations to drive transformation. 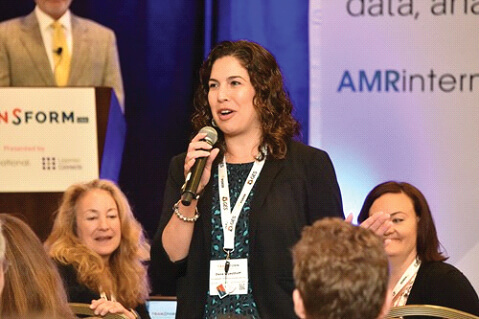 There is a mandate to design metrics for success—simple, relevant metrics derived from the data (behavioral data in particular) collected from exhibitions. Some examples include key buyer engagement and customers moved through the conversion pipeline. While the data exists in abundance, the difficulty now lies in making the data actionable, predictive, and in a form, that can be monetized. To achieve those goals, organizers will require, at a minimum, core skill sets and an organized approach to technology vendors. The API economy as a mechanism for facilitating integration across the technology ecosystem will help the industry implement solutions that are tailored to the needs of specific organizations. Denzil Rankine, Executive Chairman, AMR International said, “There is a lot of excitement, as well as confusion and concern, about how to deal with the changing environment of exhibitions and specifically how to harness digital and analytics. 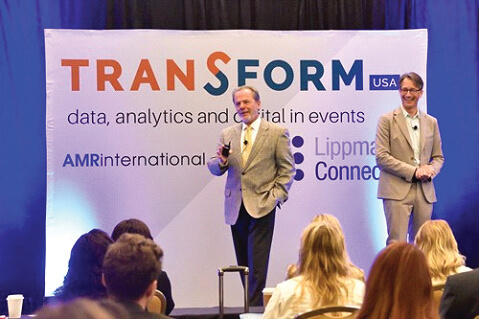 At Transform USA, we took attendees on a journey dedicated to the topic of data, analytics, and digital starting with some perspectives from the market and our audience and concluding each session with some takeaways that are practical, not just theoretical. Our mission is to guide the transformation of the industry.